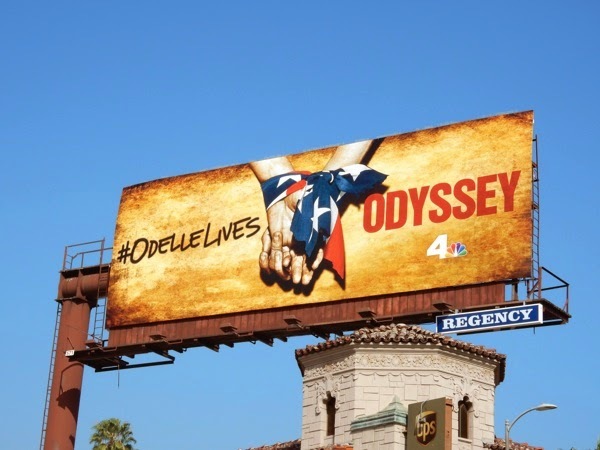 Following a string of imitators including State of Affairs (a Scandal and Homeland mashup) and Allegiance (obviously inspired by The Americans), NBC wants to capture your attention with their new terrorist conspiracy drama, Odyssey. Anna Friel has come a long way from being a Lesbian burying bodies under the patio in the British soap Brookside and playing a dead girl in Pushing Daisies, and in this new NBC series she is the 'Odelle' in question, 'Sgt. Odelle Ballard', a soldier, wife and mother. 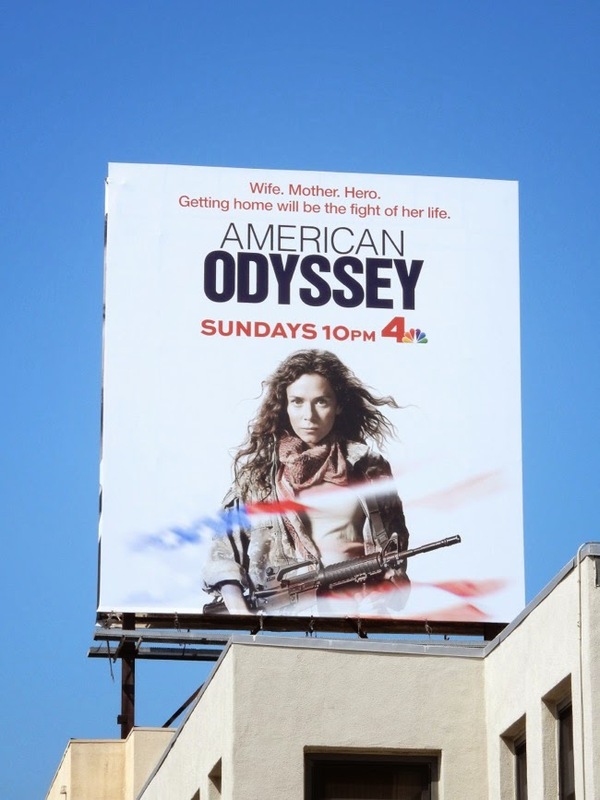 In Odyssey, her American Special Forces team stumble upon and kill a major Al Qaeda commander and she uncovers computer files implicating a leading U.S. company is funding the jihadists. Before she can tell anyone her team is wiped out by private military contractors and the world is told she and her team were all killed by enemy combatants in a political cover-up. 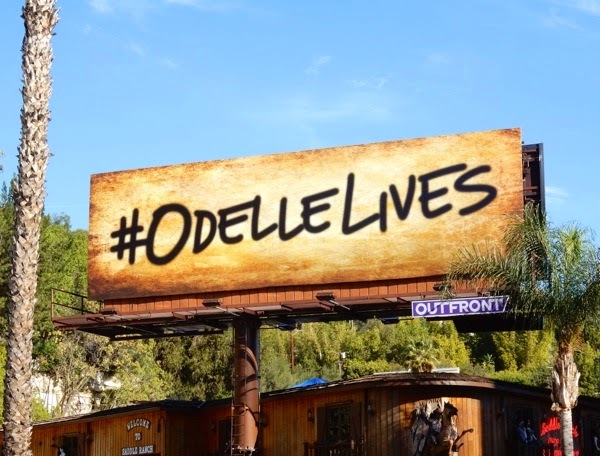 Trying to get home to her family Odelle's life intersects with a disillusioned New York lawyer (played by Peter Facinelli) who discovers something corrupt at the company funding the terrorists and a political activist (Jake Robinson) stumbles onto details about the cover-up conspiracy, and ultimately they must all join together to expose the truth and save their families and country. Sounds like complicated and compelling stuff. 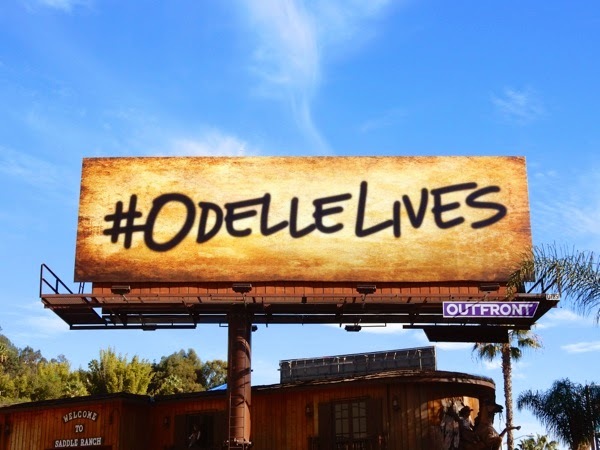 To help push the conspiracy theory angle of the show NBC used this 'Odelle Lives' hashtag teaser billboard (spied along the Sunset Strip in West Hollywood on January 7), which was also supported by a faux website claiming the government had lied to us. 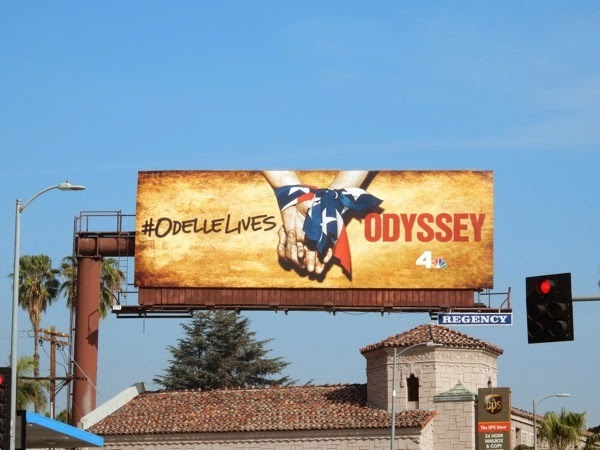 Meanwhile the billboard reveal of the hands tied in the American flag with the hashtag and the show's title was snapped further east along Sunset Boulevard on February 4, 2015. 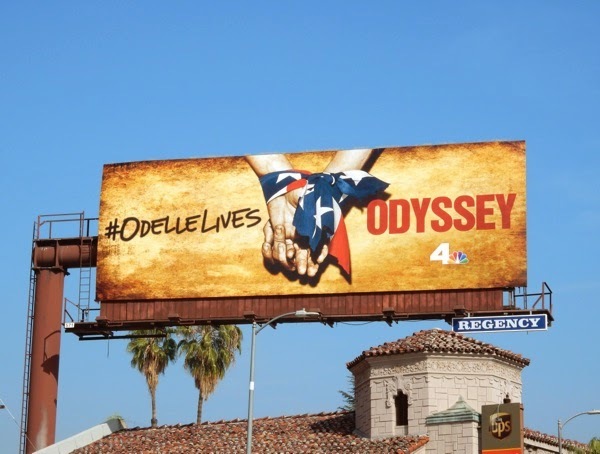 The tied hands creative reminds Daily Billboard of the series premiere billboard for the CBS drama Hostages from the Fall 2013 TV season, which featured gags made of the Stars and Stripes flag. 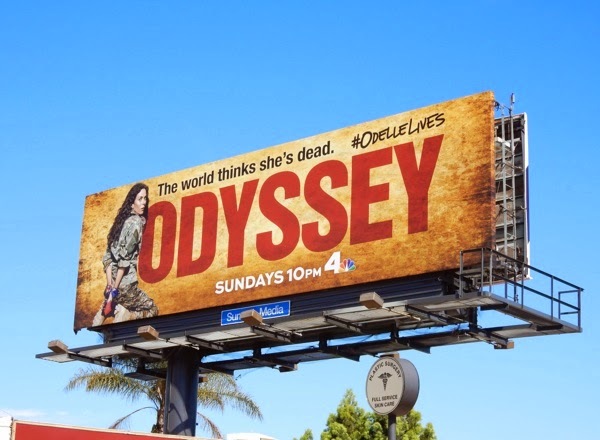 Unlike that short-lived show, let's hope Odyssey can survive more than one season, as Odelle's journey begins this April. 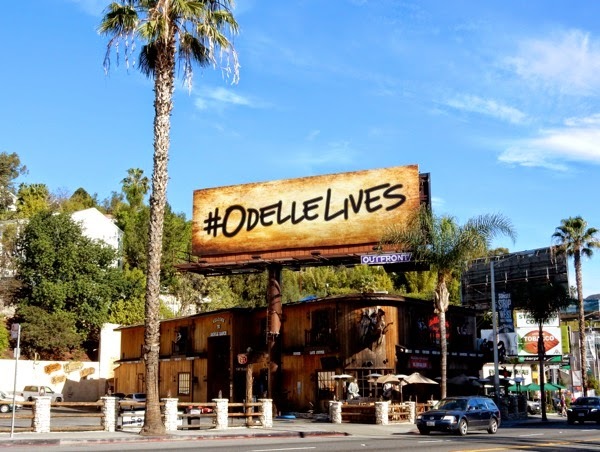 UPDATED: We've been teased for long enough and finally we get to see what Odelle looks like in this new billboard featuring Anna Friel in her army combat uniform. 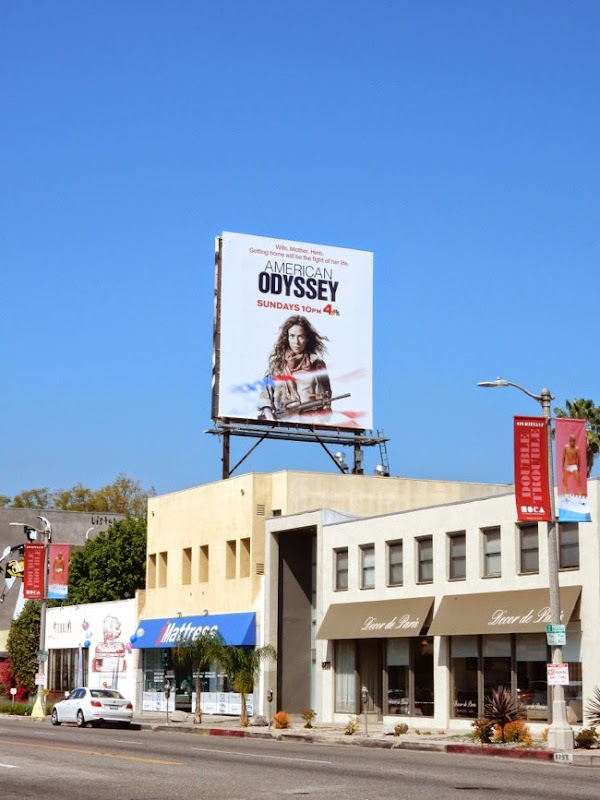 This Odyssey series premiere billboard was snapped along San Vicente Boulevard at Fairfax Avenue on March 13, 2015. 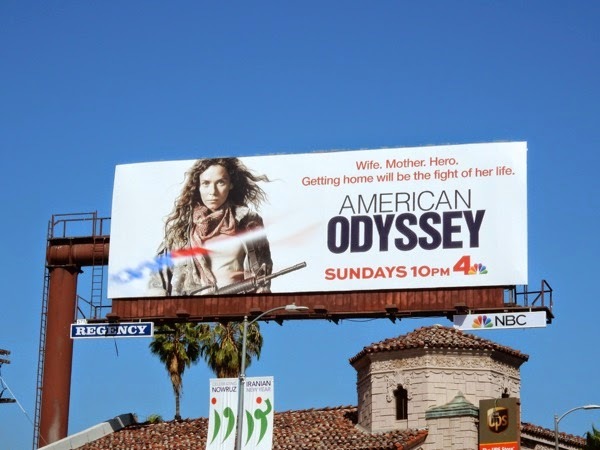 UPDATED: With less than a month to go before the new series airs and after months of promotion, NBC has decided to rename its Odyssey show to now be called 'American Odyssey'. 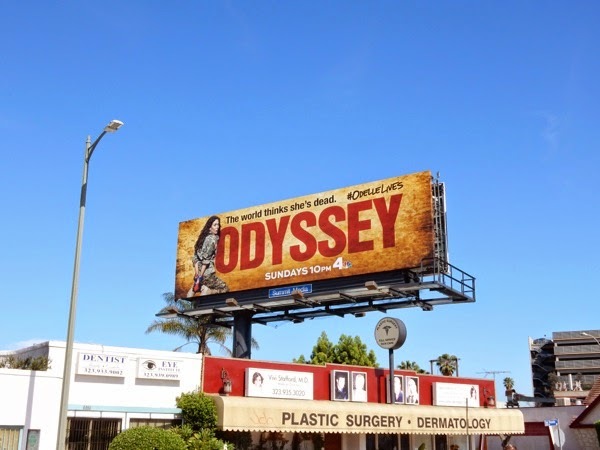 Daily Billboard is sure this decision is less to do with previous series or movies bearing a similar name and more to do with the network trying to cash in on the box office juggernaut that was American Sniper. 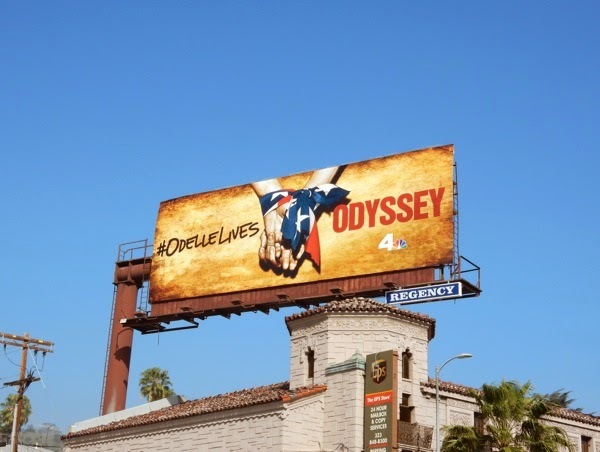 Even the new ad creatives for the series premiere resembles the patriotic movie billboards for American Sniper, Odelle is now holding a rifle against a white background, and is no longer a captive and there's even a splash of the Stars and Stripes. 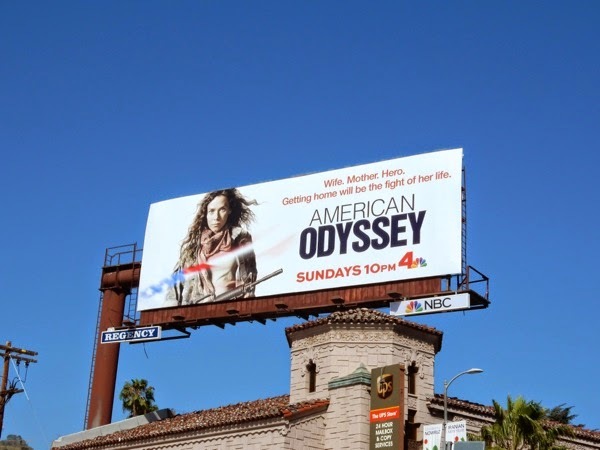 Daily Billboard constantly criticises NBC for being unoriginal and copying other ideas, and this rebranding and these billboards, spied along Sunset Boulevard and Beverly Boulevard on March 19, 2015, certainly smacks of stealing another movie's thunder. Aside from the possible confusion, it also makes you question the strength of the show's premise if they are so willing to change to name this late in the game.